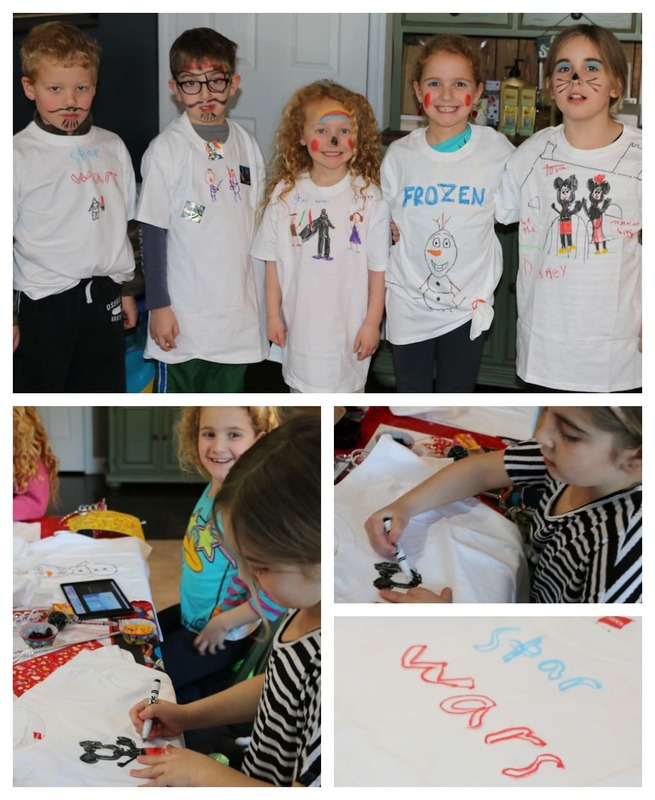 We showed off our Disney Side and had a Disney-themed party this week with friends. It was so much fun!! 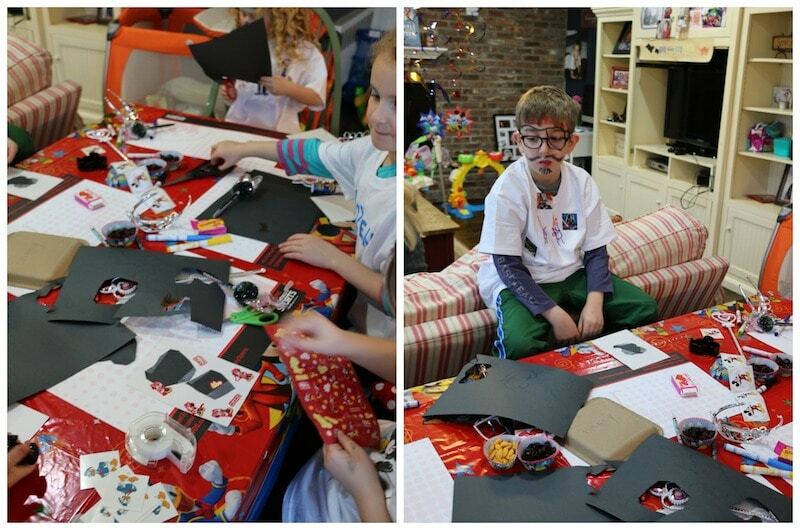 The kids had a ball making their own t-shirts, playing Bingo, getting their face painted and more. Now, let me just make something clear. I’m not very DIY creative. God BLESS the women out there on the Internet who are able to bake Mickey hats and Cinderella cake pops. I’m not that girl. It’s just not in my bones. So, I went to the Dollar store and Michaels and bought whatever I could find that was Disney related and we had a blast! Stickers, pens, cupcake toppers — it all worked out. My children were running and laughing and singing the songs from Frozen (over and over and over again) without skipping a BEAT. Why am I writing this? Because I think it’s important for moms out there to remember that even though we all love to be on Pinterest and get inspired by the wonderful women out there who have those creative juices floating through their veins, it doesn’t have to be that extreme. YOUR CHILDREN WILL HAVE JUST AS MUCH FUN if you throw down some stickers and put a Mickey topper on a few cupcakes and brownies. 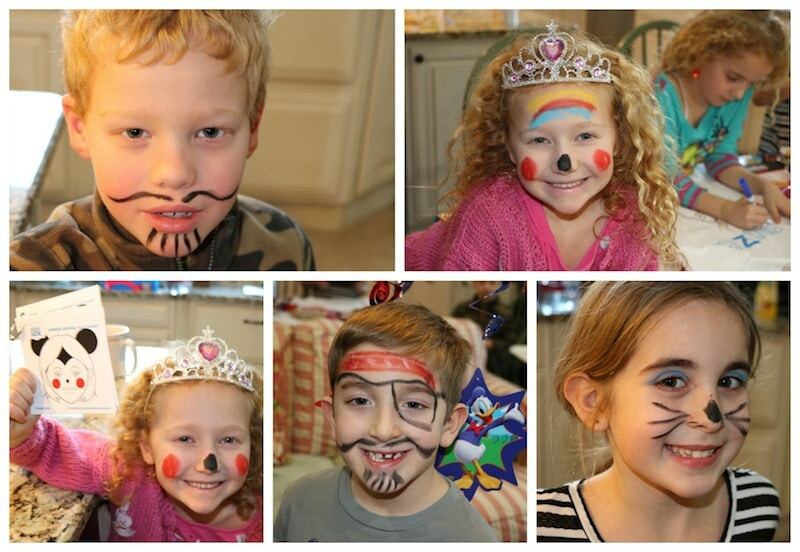 Michael’s had this face painting set and I thought it would be fun to get the kids in character as soon as they walked in the door. So, I showed them some options and I attempted to replicate. I don’t mean to brag… but that’s one mean looking pirate if you ask me. LOL!!! Then we made t-shirts. Each child was given a blank Hanes tee and the group shared one box of fabric markers. I asked them to create whatever they wanted that was Disney related. What a variety!! LOVED seeing what the group came up with. My main arts and crafts project was pretty simple. 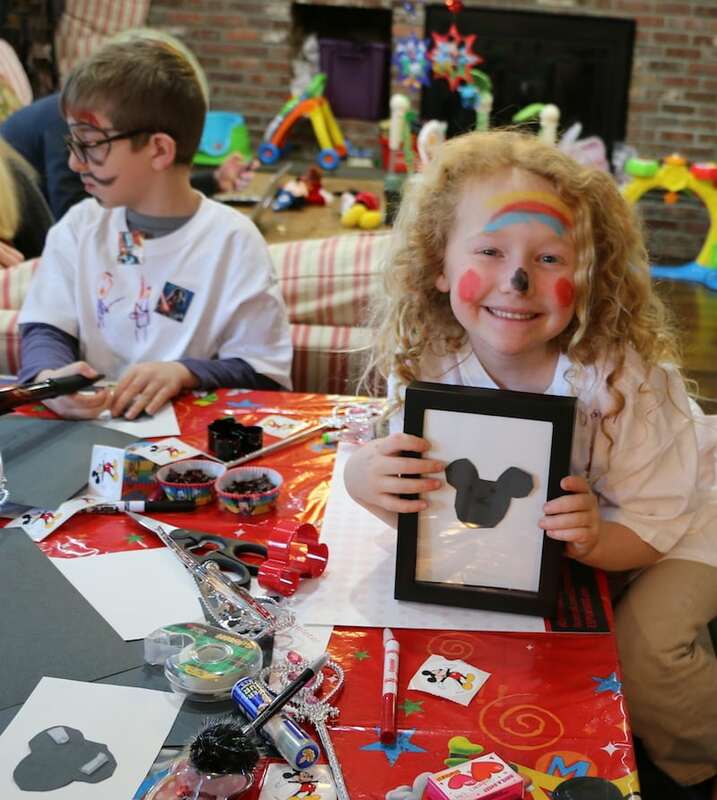 I wanted to have the children create a MICKEY head that they would tape on white construction paper and place in a frame. I bought 4 frames for $9.99 at Michaels and I thought it was a nice little thank you gift for attending. Some children decided to add stickers to their creation. A second family of 4 kids canceled last minute so I actually have 4 more frames to place around my house. LOL! The sale I scored worked out for me!! Isn’t this cute?! So easy to make too!! And once the children don’t want to show off this design, they could always swap it out with a new creation. I thought it would be fun for them to have something in their room that they would be able to own and control. Last but not least, we played Disney Bingo! I am OBSESSED with this game. We played it every night since!!! I have to find a link so I can share it with you all. It was so FUN. 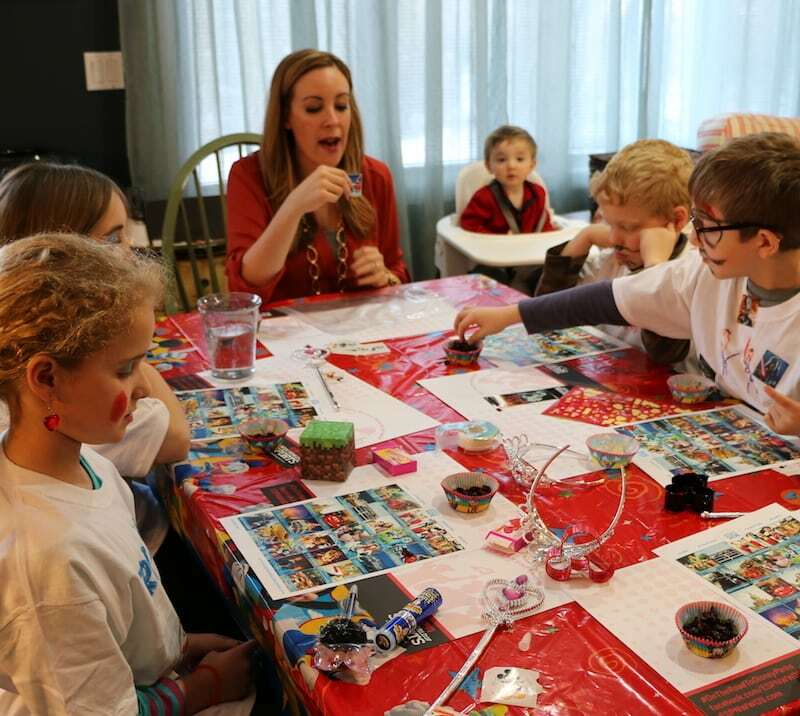 What do you think about throwing a little Disney party for your kids? You don’t really need a reason – just celebrate a Saturday!! Show off your Disney Side and use the hashtag #disneyside when you share it on social media. * Disney and Mom Select sent a number of the supplies I used to host the party. No compensation.